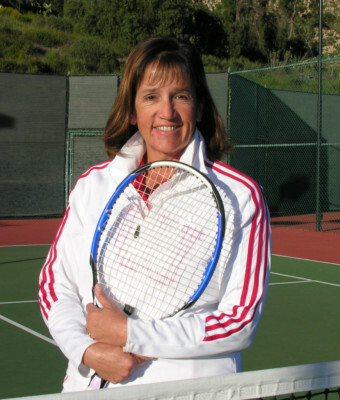 Patty brings four decades of playing and teaching experience to East County Tennis. For 25 years Patty served as the Assistant Teaching Pro at Singing Hills and Sycuan Tennis Clubs where she was intimately involved in all youth activities, lessons and camps. Patty has also coached the Granite Hills High School Girls Tennis Teams for 33 years and the Boys’ team for 7 years. As a high school player, Patty was the San Diego Section CIF Doubles Champion two times. Following her high school years, Patty went on with a full ride scholarship to play both singles and doubles at United States International University. Patty received the honor as the team MVP in her Senior Year. In 2011 Coach Tibbitts was recognized as the California Interscholastic Federation (CIF) Model Coach of the Year. This was a real honor as Patty was selected from a pool of hundreds of coaches from all High School sports statewide. And in 2017 Coach Tibbitts was recognized by CIF as the Female Coach of the Year. Be sure to check out some of the testimonials from Patty's students and parents of students!